Imagine for a moment that there’s a room full of people solving a complex problem. Each individual brings his or her unique knowledge, skills, and experience to the table. Now consider that the complex challenge relates to computer programming. Technically speaking, the demographics shouldn’t change. But according to statistics, only 26 percent of the computer programming workforce is made up by women. That’s interesting, considering that women lead adoption of new technologies. For most of us, our access to technology is given to us by other people. Think of all we could accomplish if there were only more perspectives in that room. 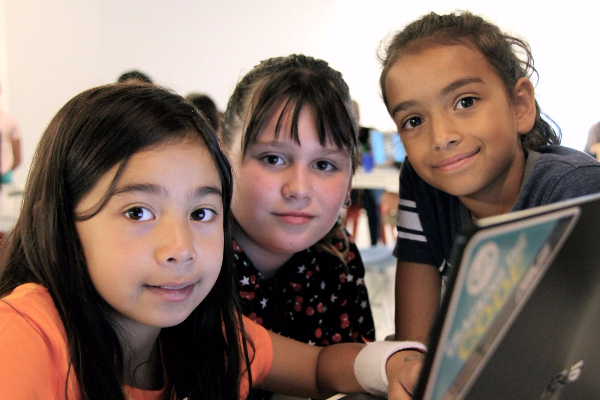 We connected with Melissa Sariffodeen, the Co-Executive Director at Ladies Learning Code to find out how. Ladies Learning Code was built on social media. Starting with a Tweet in 2011, founder Heather Payne built a better way to learn to code when she announced her first #LadiesLearningCode workshop. More than four years later, the not-for-profit organization operates in 26 cities across Canada by running 542 programs that teach over 24,000 women and youth beginner-friendly technical skills. The organization now has country-wide chapters, which are thriving youth programs called Girls Learning Code and Kids Learning Code. 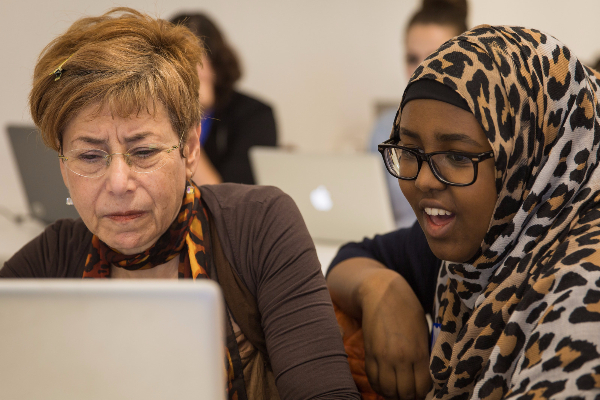 Together, these help shape digital literacy education for adults and youth. One of the most effective ways that Ladies Learning Code shares their message is through events and campaigns like their National Learn to Code Day. In partnership with Facebook, the event took place over six hours in 22 cities across Canada, where a group of women were taught by nearly 300 mentors and volunteers how to use Python for the first time. After sharing a few emails, Tweets, and Facebook ads, the event sold out. According to a survey, 88 percent of the women who attended would attend another and recommend it to others. Likewise, 92 percent of the learners were “total beginners.” This is because when Sariffodeen saw content that performed well, she focused ad spending on communities where they didn’t have a big presence. 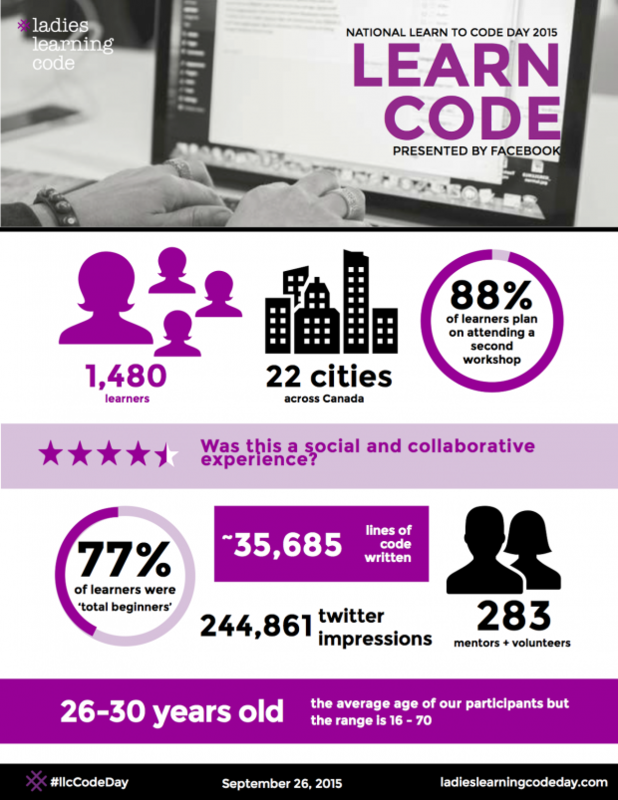 Team members were encouraged to share regional event content using the hashtag #llcCodeDay. Sariffodeen used Hootsuite streams to monitor those conversations and get a better picture of campaign performance. Once she discovered which content resonated the most with various audiences, she further promoted it in targeted markets that hadn’t heard of their organization. Successful campaigns like National Learn to Code Day help expose the brand to new audiences and empower more women and girls to learn to code.